Ada’s at preschool celebrating her birthday with friends this morning. 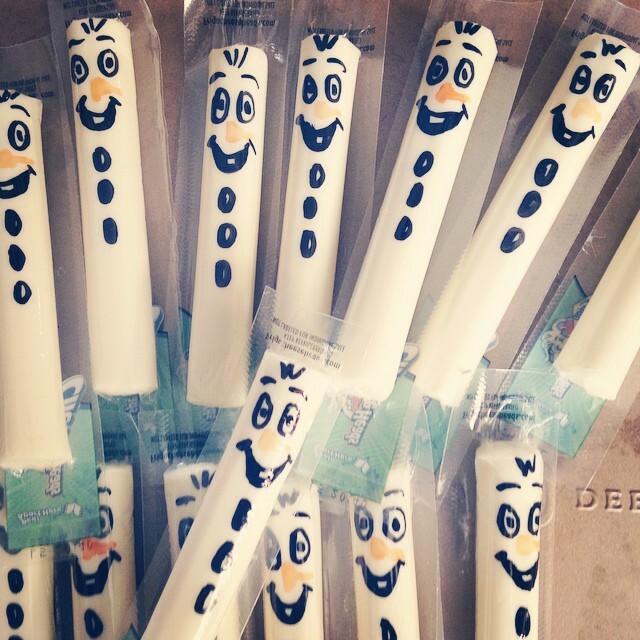 I wanted to send her in with a healthy celebration snack, so I saw this Olaf cheese stick idea on Pinterest and thought it’d be a good accompaniment to the raisins and chocolate covered pretzels. Definitely easy and fun if you’re looking to make something more festive for the preschooler crowd. Oh, and I’m really bad at drawing, so these are beginner-level easy! #1: Did you see this piece on Smithsonian.com (via Nature) about the link between a person’s gut bacteria and brain? Wild. #2: What an interesting story about Afghan women "putting aside their own safety and their country's culture" to create a national cycling team. #3: Here’s how you pick a perfectly ripe avocado. It’s so easy! #4: I’ve been experimenting with eating a lower-glycemic diet for a variety of reasons. I’ll write more about it next week, but if you’d like to see some of the recipes that have been inspiring me, check out my Pinterest board. #5: Let’s support these 13 Stores That Won’t Open On Thanksgiving. No one needs to shop at night on the actual holiday. Joy the Baker’s Homemade Decadence is only $18 online! These Lincoln Logs are on Ada’s X-mas list. They’re 46% off. #8: Whoa. Several clothing start-ups now design jeans for muscular athletes. // Oh, great. I’m Stressing about TTC Stress. // Here’s how we made our DIY Industrial Pot Rack. // What we’ve been up to. Stephen sees Jenny Lewis, I take photos, more. // It’s better late than never. Some thoughts on parenting an almost 3-year-old.